NuuSol CASCADE Flip Flops- Super Duper Comfortable- Made in USA:: BRAND NEW! 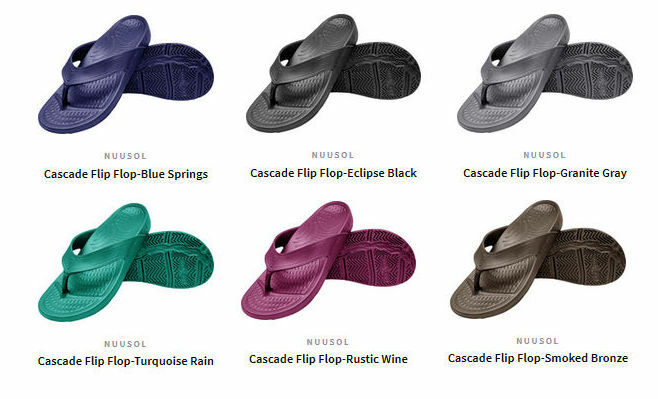 Home>NEW ARRIVALS > NuuSol CASCADE Flip Flops- Super Duper Comfortable- Made in USA:: BRAND NEW! 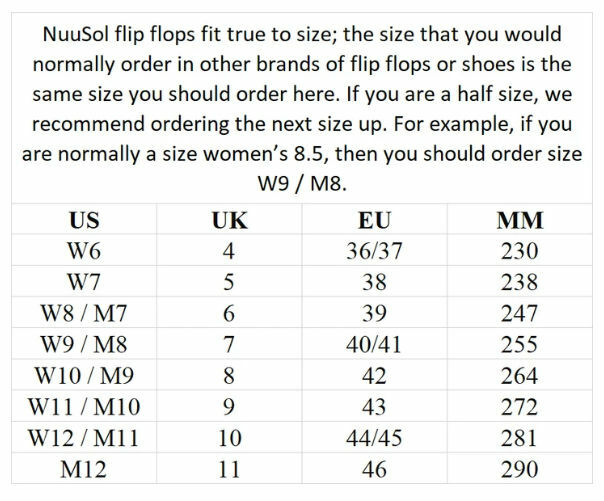 We are very proud to carry the NuuSol flip flops. Amazingly comfortable, lightweight, waterproof and *Podiatrist recommended. 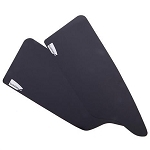 The flip-flops employ a proprietary material that has exceptional cushion, bounce-back, and durability. This unique combination makes the Cascade flip-flop a pleasure to wear. The Cascade is available in several stylish, attractive colors: Navy, Black, Light Gray (limited) Charcoal Gray, Burgundy, Brown and Aqua. Note: the Light Gray color, called "Limited Gray" by NuuSol, is a special promotional color that will last until they're sold out. SIZING NOTES: If you're on the borderline, size up! . Example: I wear size 9.5 street shoe and went with the M10 Cascade. GREAT ON THE BEACH: In early February 2019 we visited Varadero, Cuba and Holbox, Mexico. Practically lived in my Cascades. Why? Soooo comfortable. They are so lightweight and the cushioning material is outstanding. Long walks on the beach or stepping out for some lobster pizza in Holbox. Incidentally--unpaid plug...Hotel La Palapa is amazing and right on beach! *Why do podiatrists love and recommend NuuSol™? Because its soft and supportive nature can relieve pain from Plantar Fasciitis, sore joints, bad backs, and other foot related ailments. The average person takes 5,000 steps per day, our goal is to make those steps PAIN FREE! E.V.A. Material- Lightweight, durable, and really comfortable. 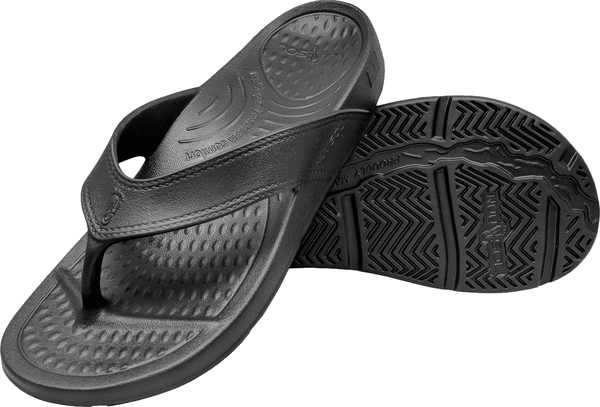 Contoured Footbed- Support in all the right places. Made in USA- Craftsmanship you can only find with US manufacturing. Podiatrist Recommended- Walk comfortably without the pain. 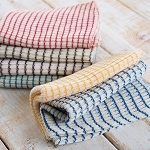 Easy to Clean- Throw them in the washing machine or give them a light scrub. These are the most comfortable flip flops I've worn! I like the support the arch provides and the extra cush on the bottom. Of course, color selection excellent! Shameless plug again! 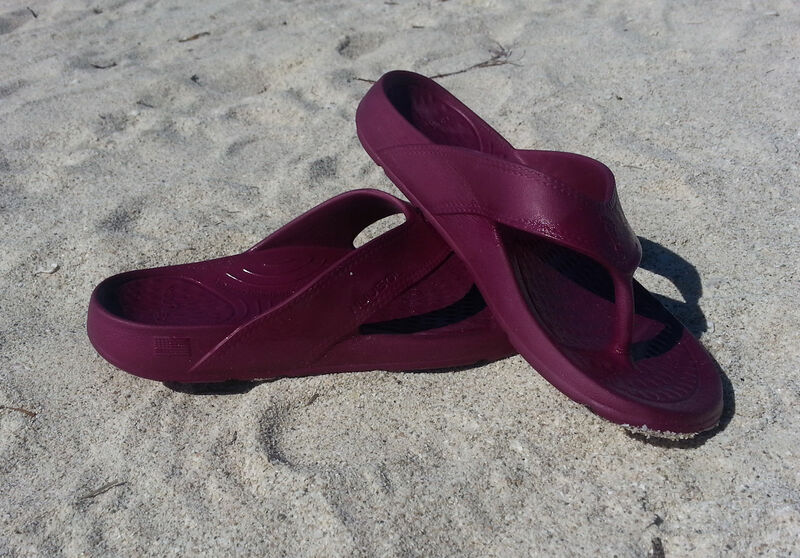 These flip flops were just beach tested in Varadero Cuba and Isla Holbox, Mex. Outstanding. Very comfortable due to the proprietary cushioning material and incredibly lightweight which really helped for packing and walking around. Highly recommended for home, pool or beach. American Blossom Bed Sheets- 100% Organic Cotton! ::Made in USA!